Ivy Bridge is still about a week away if you buy the latest hearsay, but Laptop Reviews has jumped the gun with a review of HP's EliteBook 8470p, complete with benchmarks of Intel's new chips. Equipped with an unidentified Core i7 engineering sample, the machine outpaced every other comparison unit, including the HP Envy 17 with a Core i7-2670QM 2.20GHz and a discrete AMD Radeon HD 7690M GPU. Laptop Reviews took a screenshot of the mystery chip's specs as reported by CPU-Z, revealing it as a quad-core part that supports eight threads via HyperThreading, peaks at 2.6GHz with Turbo Boost and has a max thermal envelop of 35W. It also has Intel's updated GPU (branded as the HD Graphics 4000), which proved to be a substantial improvement over the HD 3000 in AnandTech's preview last month. The author notes that the EliteBook's SSD gave it an edge over other test systems, but Ivy Bridge surely contributed to the solid performance as hinted by Windows Experience Index, which gives the HD 4000 a 6.4 versus 4.7 for the HD 3000. We've included some of the synthetic benchmark results below. 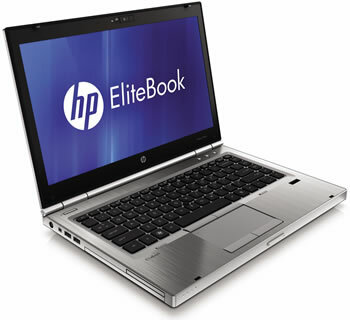 The review offers positive remarks for the EliteBook's battery and heat, though it lacks detailed information.